The Punk Goes… series has lasted long enough that counting how many installments exist at this point usually requires a trip to Google or Wikipedia. It has become an annual event of sorts, like the mixtape version of Warped Tour, with alternative music fans impatiently waiting year-round to figure out what theme the scene’s top talent will tackle next. This spring that theme is the 90s for the second time in 8 years, and the results are as mixed as ever. The band with the biggest uphill battle on Punk Goes 90s Vol 2 is The Color Morale. They chose to tackle Foo Fighters’ Colour And The Shape single “Everlong,” which may be the most played song at rock radio in the last two decades, and somehow find a way to make the material feel new once more. I cannot recall the last time I was excited to sing along with “If everything could ever feel this real forever / If anything could ever be this good again,” outside of a Foo Fighters concert, but that is exactly what I found myself doing around 8:30 this morning while head banging alone at my desk. 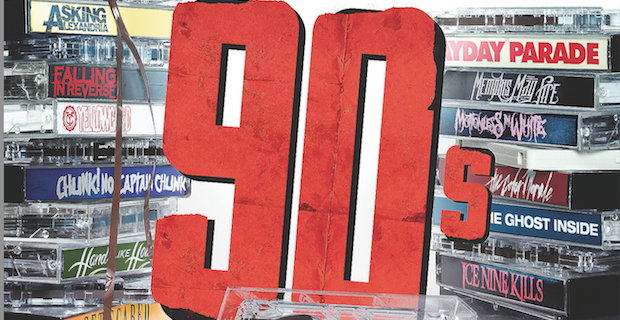 The remaining tracks on Punk Goes 90s Vol 2 are more forgettable (Mayday Parade’s “Comedown”) and underwhelming (Memphis May Fire’s “Interstate Love Song”) than downright terrible, with two exceptions. The first being Asking Alexandria’s take on Nine Inch Nails’ “Closer,” which starts off perfectly fine before crumbling amidst a half-assed attempt to inject the band’s signature metalcore sound into the song which kills all grit and sexual overtones found in the original. The second, and perhaps worst contribution in recent Punk Goes history, belongs to Falling In Reverse. Ronnie may have a budding rap career of his own, but the band’s take on Coolio’s “Gangster’s Paradise” just doesn’t work. It sounds exactly like what you would think a skinny white guy re-interpreting one of the most famous rap tracks of all time would sound like, only with more double kick pedal and (some) live instrumentation. It’s the musical version of Malibu’s Most Wanted, only with more attitude and a breakdown. Punk Goes 90s Vol 2 is a collection of covers that seems to have been thrown together without anyone having put much thought into sequencing. You cannot expect perfect cohesion on a covers album, especially one featuring bands from a variety of alt-rock sub genres, but if there was ever a rock album released that was better suited to be sold as individual singles it’s this compilation. Find the songs you like and add them to your collection. Everything else you can pretend never happened. I know I will.